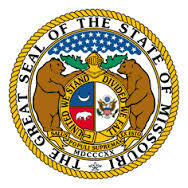 The Missouri Division of Child Support Enforcement (Division) is a state government agency that is part of the Missouri Department Of Social Services working in conjunction with the Missouri Department of Family Services whose objectives include the establishment and enforcement of child support orders. Despite this clear mission, as defined in our Missouri statutes, many parents and Missouri family law attorneys spend a great deal of time involved in legal wrestling matches over the decisions this agency makes and the manner in which they make them. The Division establishes child support and medical insurance orders by two main methods, administratively and with the assistance of the local prosecuting attorney’s office. When the issue of the paternity of the minor child is not contested by the alleged father or where there is a legal presumption of paternity, the Division has the ability to administratively establish child support orders. This is a process which begins and continues to a large degree outside of our traditional state court system. These administrative orders are done with the cooperation of the natural mother and are started with a notice and finding of financial responsibility that is issued to the alleged father. This finding will come in the form of a letter and will state that the Division has reason to believe that the recipient of the letter is the natural father of the minor child, and that based upon the income information provided to or acquired by the Division, a presumed child support amount will be proposed in the letter to be paid by the recipient of the letter for the benefit of the minor child. Further, this letter may include a finding requiring the recipient to acquire medical insurance coverage for the minor child. The letter will advise the recipient of a timeline by which they can request a conference and a hearing with the Division and the mother. If the alleged father does not timely (within 20 days) challenge this finding or request a conference, an administrative child support order and medical insurance order will be entered consistent with the terms contained in the letter. If a conference and a hearing is requested and the recipient cooperates with the Division in providing information relevant to his employment and income, a different administrative order for child support and medical insurance may be entered either through agreement of the recipient and the mother or after a hearing with a hearing officer who will issue an administrative order. These orders have the same enforceability as a traditional court order. This means that all methods available to collect child support from a court order, including the garnishment of the paying parents wages, are available to mother and the Division, as we will discuss later in Part II of this blog. An order of child custody and visitation for the natural father is not part of an administrative child support order established by the Division. In order to establish an order of child custody and visitation the father or mother must bring an action of paternity, divorce or legal separation in circuit court. In cases where the issue of paternity of the minor child is contested and/or there is not a legal presumption present of paternity, the Division through the local prosecuting attorney office may seek an order of paternity and child support or a modification of an existing child support order through the local family court. While there is not a traditional attorney -client relationship between the prosecuting attorney and the natural mother, the office of the prosecuting attorney represents the financial interests of the mother and child in this court action. In these circumstances, the alleged father should seek legal representation from a qualified Missouri family law attorney to represent his interests. With the assistance of his family law attorney, the father may pursue an action for specific physical custody rights in this circumstance and present his own evidence relevant to child support. While the mother’s cooperation is voluntary to establish these orders, this cooperation is typically a condition for the mother to be eligible to receive qualified financial aid from the State of Missouri such as food stamps, daycare assistance and direct financial aid. In these circumstances, the child support collected may be used in whole or in part to reimburse the state of Missouri for benefits they have provided to the Mother. Visit our Blog soon for a discussion on the role of the Division in collecting child support. If you have a Missouri family law issue or question you may contact our office today for a free consultation.